Interested in Kareo? Let's talk. Tell us about yourself and a Kareo Solutions Consultant will contact you shortly. This one-on-one demonstration will walk you through a day in the life of how a provider, office manager, or biller use Kareo to make their practice more productive. Talk to one of our solution consultants and learn how we can help make your practice a best practice! The Kareo platform can be tailored to your unique needs. Please tell us about your practice so we can show you appropriate pricing and have a Kareo Solutions Consultant contact you to build a customized solution. Our Solution Consultants are here to help. Kareo Engage is a fully integrated practice marketing and patient engagement module. With Kareo Engage you can create a superior end-to-end patient experience, from getting found online to re-care reminders. The result is better care delivery, increased collections and happier, healthier patients. You are currently viewing physician pricing. If you are a non-physician, click here. If you are a therapist, click here. You are currently viewing non-physician pricing. If you are a physician, click here. If you are a therapist, click here. You are currently viewing therapist pricing. If you are a physician, click here. If you are a non-physician, click here. Get the full benefit of end-to-end patient experience management. Stay connected with your patients to optimize your care delivery and patient collections. Still have some questions? Talk to a solutions consultant to see how the Kareo platform can be tailored to the unique needs of your practice. In addition to the functions I get with the Kareo Engage, what else is included? With Kareo Engage, you’ll also get access to our complete platform and a number of additional functions. These include secure messaging, calendar and online scheduling, appointment reminders, registration, mobile and so much more. How does Kareo Engage integrate with other modules in your platform? In addition to the functions accessible through the Kareo platform, Kareo Engage fully integrates with additional Kareo modules, each designed uniquely for independent practices and developed to help you run a more successful practice. These include Kareo Clinical (EHR) and one of two billing modules including Kareo Billing (our do-it-yourself billing software) or Kareo Managed Billing (outsourcing your billing to our expert team). Also, Kareo Marketplace allows you to add customized clinical, financial and accounting functions through integrations with strategic partners. Welcome to the only complete platform. You’ll love your practice on Kareo! How is Kareo Engage different than similar competitor products? We offer free support, free onboarding, a clear and simple pricing model, free trials and free features to ensure a positive experience for our customers. We don’t ask you to sign a long-term contract because we want to earn your business on an ongoing basis. We also have one of the few open API programs in the industry, allowing other companies to integrate directly with Kareo, providing a more complete platform and increased benefits to our customers. What does the Kareo provider profile include? 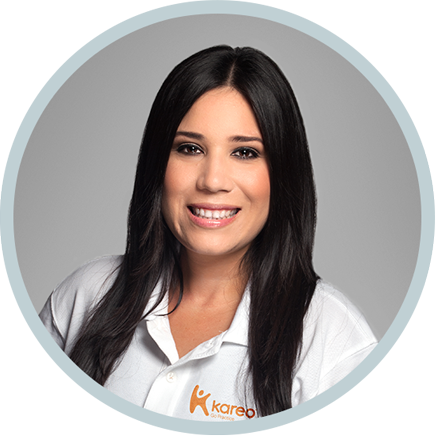 The Kareo provider profile helps you establish a strong online presence. The provider profile is the easiest way to improve your Google search results and will help funnel patients to your practice’s website. With our easy and simple sign up process, you can instantly customize your own directory listing on the web with a professional-looking directory listing and site, allowing you to be found by patients. Why is it so important for Physicians to Shine Online? If you don’t shine online, you won't succeed in today’s highly competitive market. Therefore, it’s vital to maintain a strong online presence. Did you know that 77% of patients search online before making a medical appointment with a medical provider? Patients these days are savvy consumers who know how to find the best patient options available to them. Many will read online reviews and social media before choosing a doctor. Why is it so important for Physicians to "connect" with patients? A patient who has a bad experience may not come back. How you connect, talk to and relate with your patients is very important. Using Kareo Engage will help to make their lives easier and will ensure they write positively about their experience. 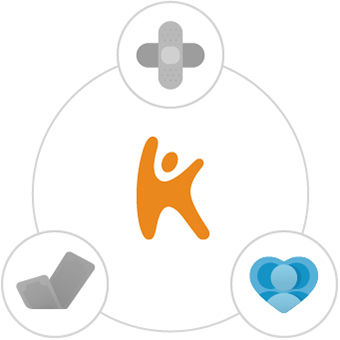 What features does the Kareo provider profile include? You spend your time helping patients, let us help you. Please tell us more about yourself and we will show you how Kareo can help. Here are your personalized suggestions. Want to change your answers? Go back. Let us show you how easy it is to write notes and prescriptions, code encounters, and manage patients in our fully integrated, cloud-based EHR. With Kareo, you get simple solutions for every part of your practice—from scheduling and charting to billing and collections. We’ll take care of your business, so you can take care of your patients. Still not finding what you’re looking for? ©Copyright 2019 Kareo, Inc. All rights reserved.